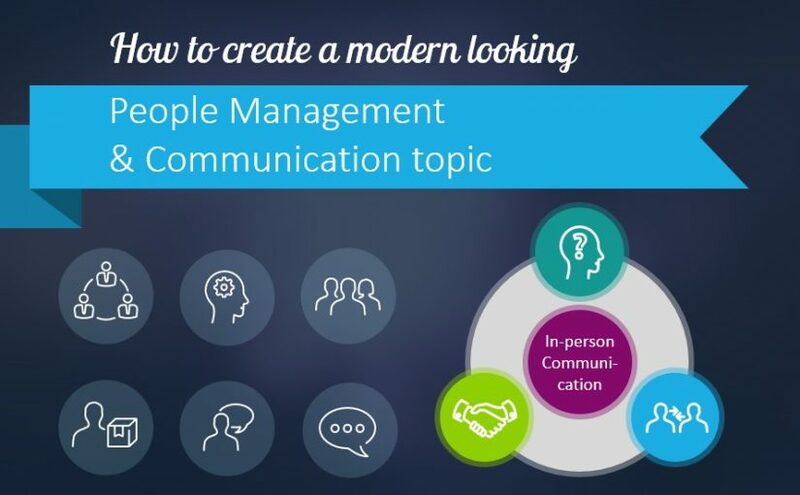 Are you making a presentation for a management or HR meeting? Or important report, where you need to include a part about communication within the organization? 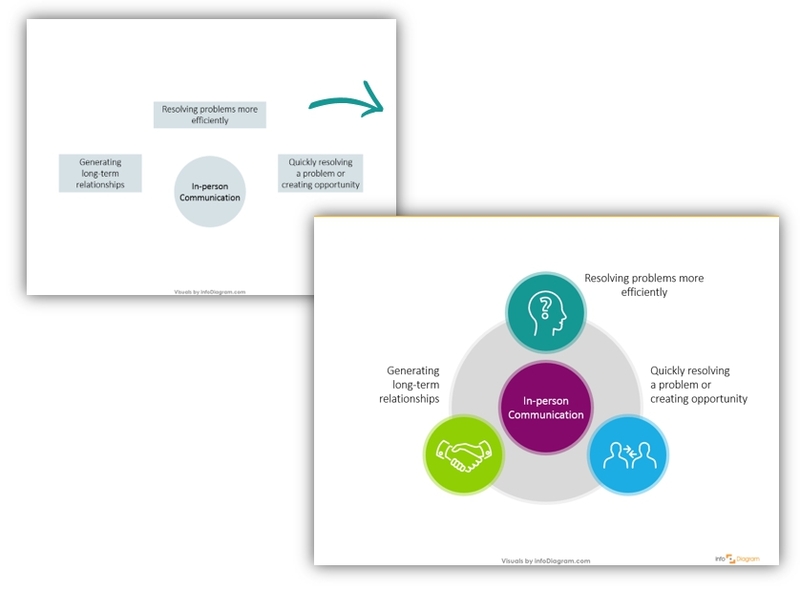 In this blog, you’ll find a bunch of visualization ideas for presenting people management and communication concepts. Why it’s better to present using visual symbols? As the saying goes, a picture is worth a thousand words. We all are aware of it. I know, it’s easier and faster to write a text about communication flow in a company than to prepare a visual diagram or search for proper symbols. using consistent visuals gives the professional look to your documents (let’s assume you will not use the cliche pictures of gears or 3D stick men, but some modern images). 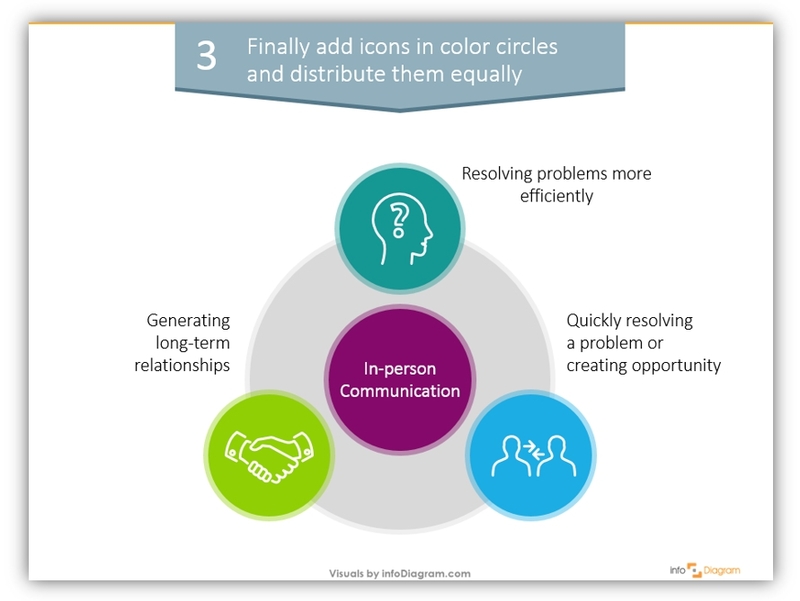 illustrating the specific key concepts by icons in your report with help your audience to focus on important parts. the presentation or article will be easy to read. Get all the icons and diagrams from Outline Business Icons for infographics collection. 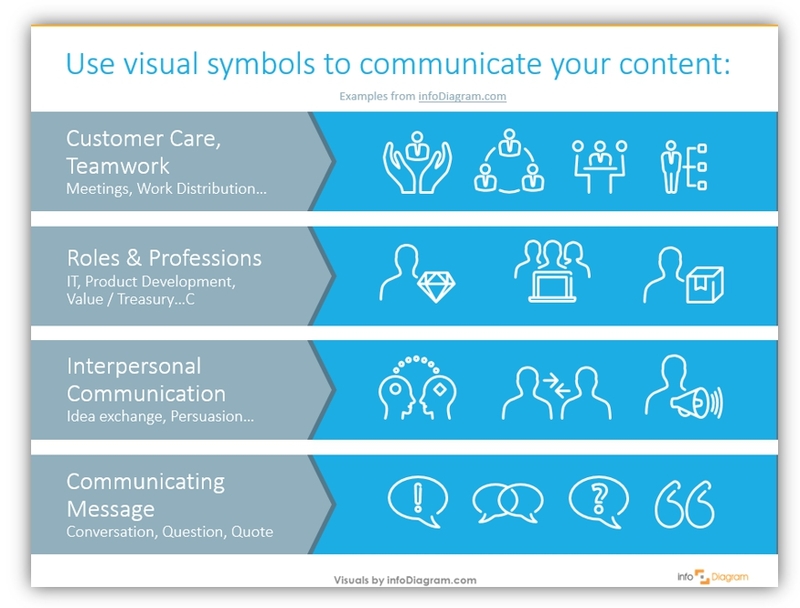 Let’s have a look at the visual symbols we use to illustrate organizational management and communication presentations. Yeah, I know using icons is a great idea. But how can you use them in practice? Let’s see how we created the right slide below. 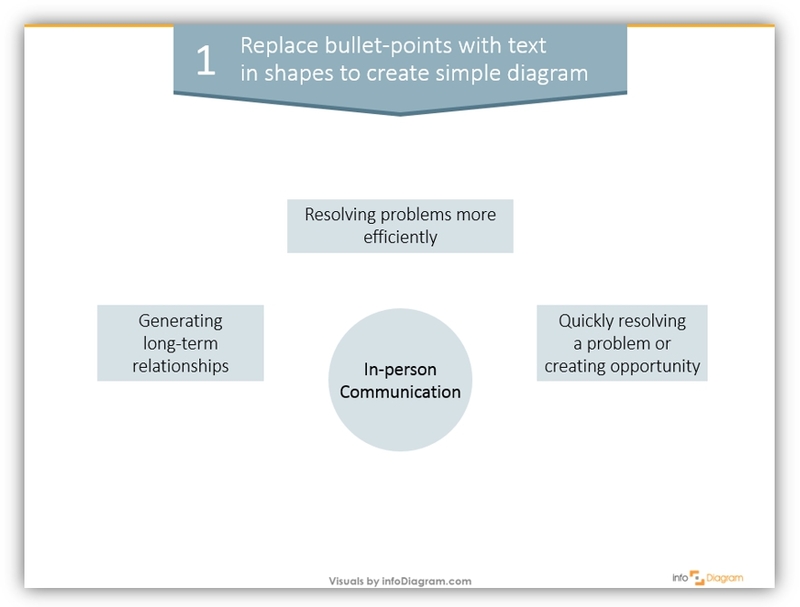 Replace bullet-points with text in shapes to create a simple diagram. We used a circle in the center and rectangles for the three items around. 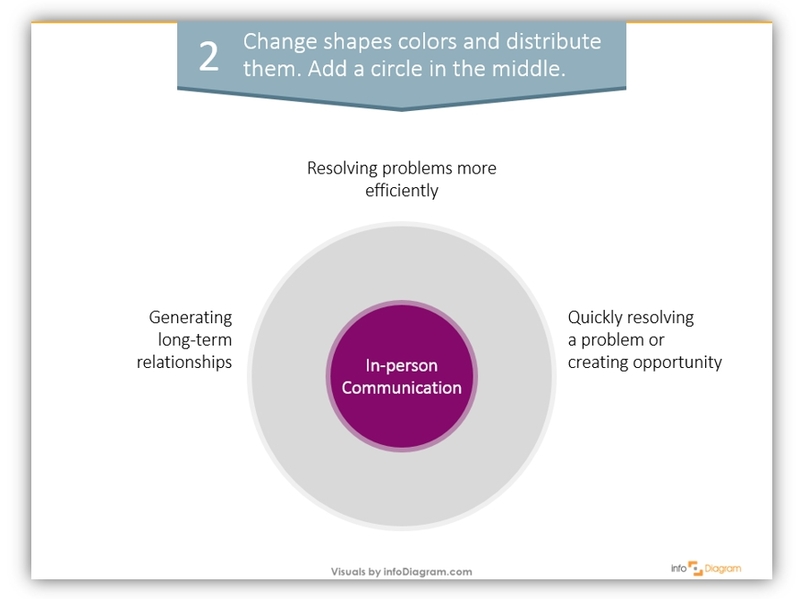 Change shapes colors and distribute them. We added a second central circle, where the three items of text can be made without background. To highlight the importance of the middle element, we added a colored circle in the middle. The final touch is to add color circles with icons corresponding to the text and distribute them equally. When you choose a symbol to support your words, play with associations: long-term relationships as a handshake; resolving a problem – arrows between two people; efficient problem-solving – a head with a question mark. Notice how we ensured the design consistency – by using the same outline style for the central circle as well for three icons. I hope this example of illustrating communication structures slide will inspire you to create more of such visual slides. The same way you can present human resource dependencies or information flows in your company. 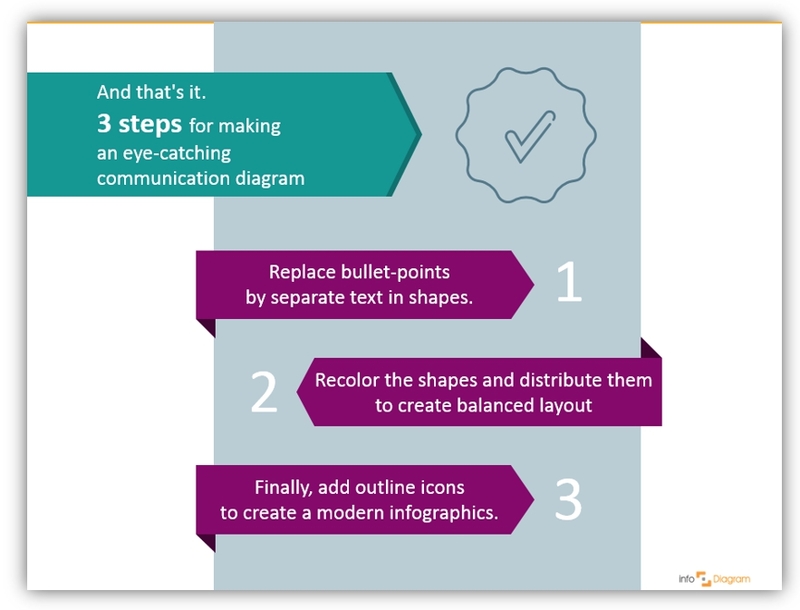 Should you need a help with choosing or using the PowerPoint graphics, let us know here. We will gladly assist.